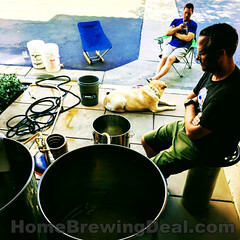 MoreBeer.com Coupon Code Description: Today at MoreBeer, use the promo code beer deal and save $50 on this micro home brewing pump! 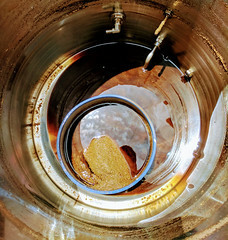 This More Beer magnetic drive home beer brewing pump is both ultra compact and super quiet. Even more importantly, this stainless steel homebrew pump is safe to use around liquids, and integrates well with electric brewing systems. 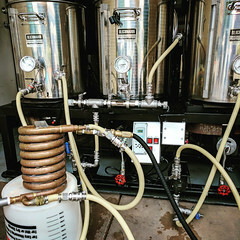 The home brewing pump features a max flow rate of 6.4 gallons per minute which is perfect for recirculating wort in an all grain brewing set up or transfering wort! The included power adapterruns on 24 v making it safer around liquids. The pump is light enough that, with the provided rubber mounting bracket, it can be mounted almost anywhere. The head is made from 304 stainless steel. 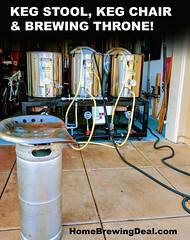 This is the Steelhead – Wort Hog home brewing pump and is produced by Topsflo.